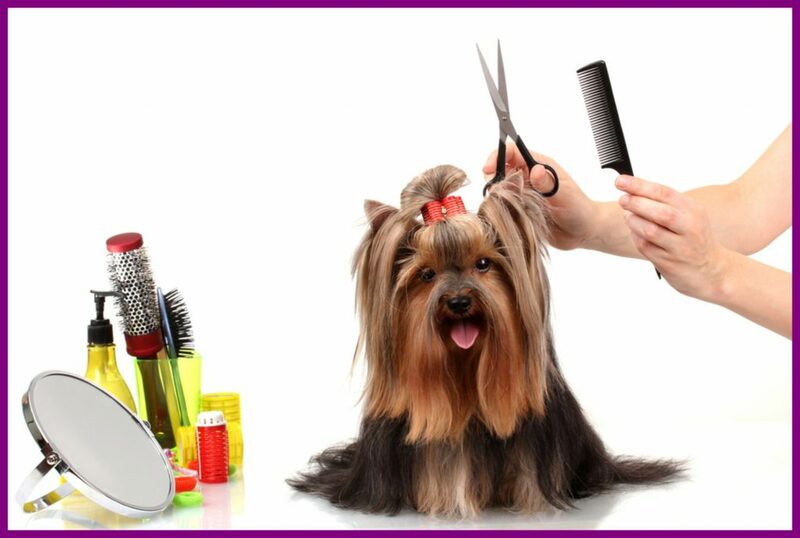 Dog Grooming Made Easy is an online course, packed full of practical, detailed video lessons on all the steps you need to take to keep your precious dog well groomed, comfortable, healthy and happy. And of course, to make him or her look really CUTE!! Have fun with your dog and use the grooming sessions to create a long-lasting and trusting bond with your precious friend. 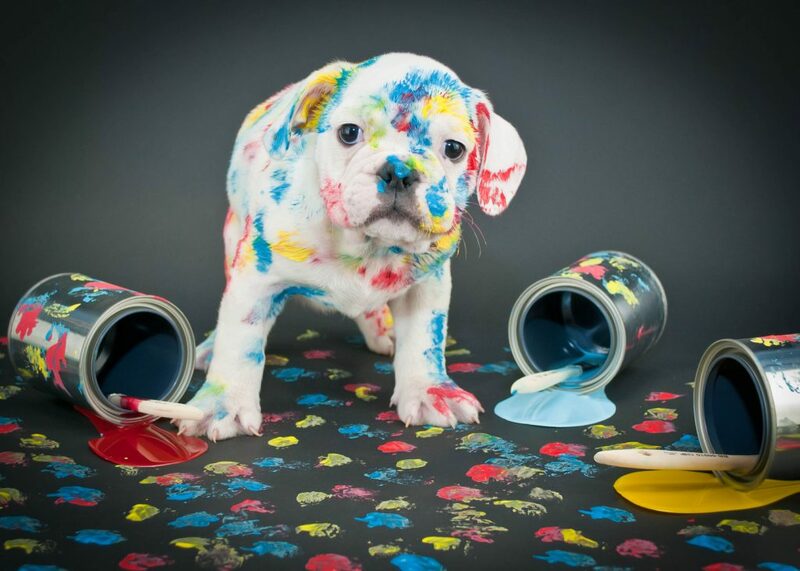 Have You Ever Wondered Why Professional Dog Grooming Sessions Cost so Much? Well, the answer to that is that there are so many processes involved, so it’s time-consuming and you’re dealing with an animal that won’t sit still. It makes it much harder and far more dangerous to trim hair on a wriggly little dog that would rather be out playing in the mud with its owner, than sitting for 1-2 hours having its hair clipped. You need to attend to its coat, legs, paws, paw-pads, nails, bottom, groin, head, face, ears, tail and eyes. Then you need to bath and dry your dog. That’s far more processes than your hairdresser does for you – THAT’S why dog grooming is expensive. How about saving money and learning how to do it yourself? Are you ‘scared to death’ to cut your dog’s nails, in case you hurt him and make it bleed? Don’t have a clue what clippers or blades to choose? 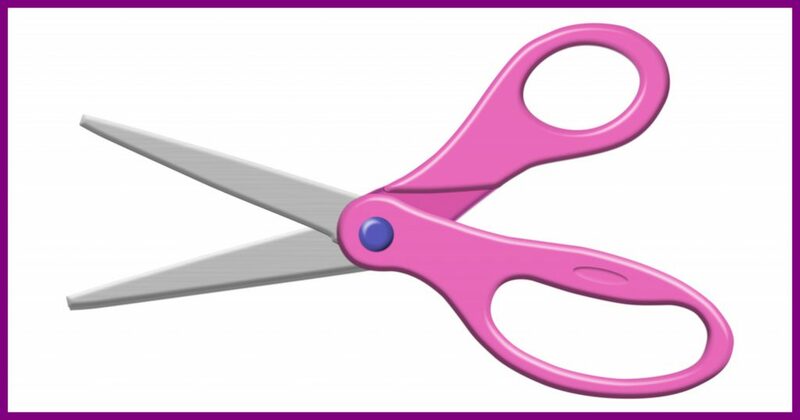 Are you too scared to cut the hair in case you cut the skin by mistake? Do you know how to wash your dog correctly, so you remove stains, keep him clean for longer and avoid allergies? 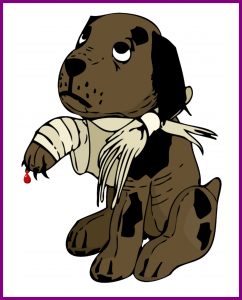 Learn how to cut your dog’s nails safely and correctly, without injury and blood. After all, you should be doing it every 2-4 weeks. What clippers and blades do you use? Find out on the course..
How to cut the hair the correct length, so that your dog doesn’t end up looking like a bald pink rat! This is Jill, with her little dog Ziggy. They work as a team in the mobile grooming salon and school. Ziggy showed up on Jill’s doorstep during a cyclone, sad, injured and neglected. He immediately became a valued family member and was the catalyst to opening Smooch a Pooch Grooming. 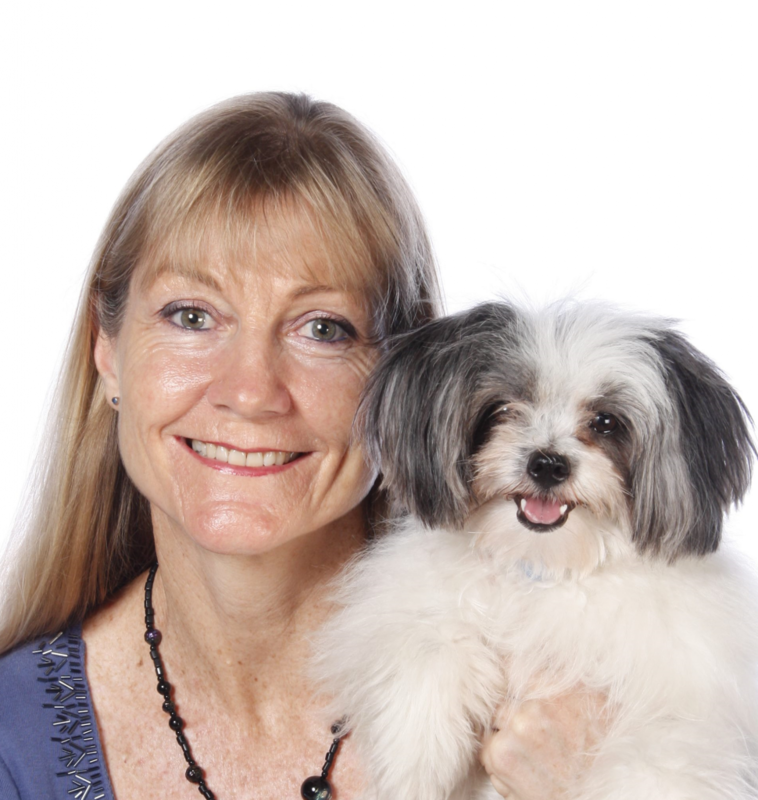 Jill opened the school 4 years later and has been teaching Dog Grooming Courses ever since. 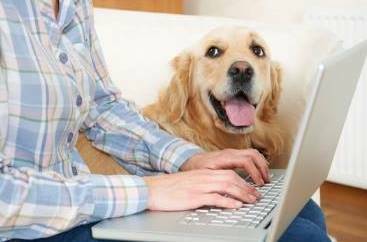 Both her Owners Grooming and Professional Groomers courses were hugely popular and now all those lessons are online for you to see. All it will cost you is the price of 1-2 grooms for your dog in a professional salon. You can save money by learning the skills yourself. Follow the step-by-step, detailed videos and see how to perform all the essential grooming processes on your dog. 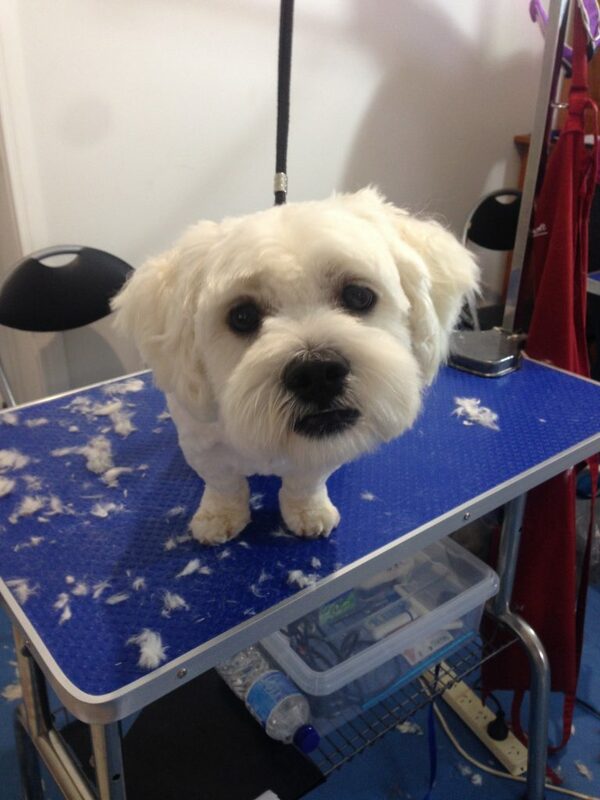 Keep your dog clean, safe, healthy and happy with your amazing new grooming skills. And have heaps of fun doing it.. When your friends and neighbours see how good your dog looks, they will be asking you groom their’s too. You can even make a few dollars (and earn back the cost of the course). Don’t wait. Book NOW and get started. Click the yellow button. Pet Groom of a Lhasa Apso. Join Our Facebook Page! Click Here Today!